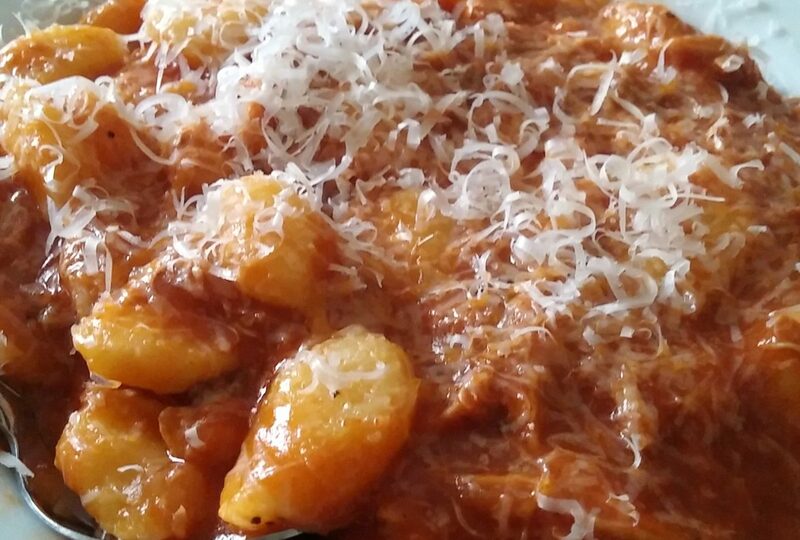 My Grandmother is from the island of Krk in Croatia a lot of the cooking there is very Italian inspired, and this pasta sauce was a Sunday staple at her house, my whole family would get together for dinner at Grandma's and this was the favourite usually served with gnocchi. Cover the roasting pan with aluminium foil (or put the lid on the crock pot) and roast until the meat falls off the bone. You might have to add water periodically.